The SparkX Triad is latest in light spectroscopy. Combining the latest three spectral sensors from AMS the SparkX Triad is able to detect 18 discrete wavelengths of light from 410nm to 940nm. 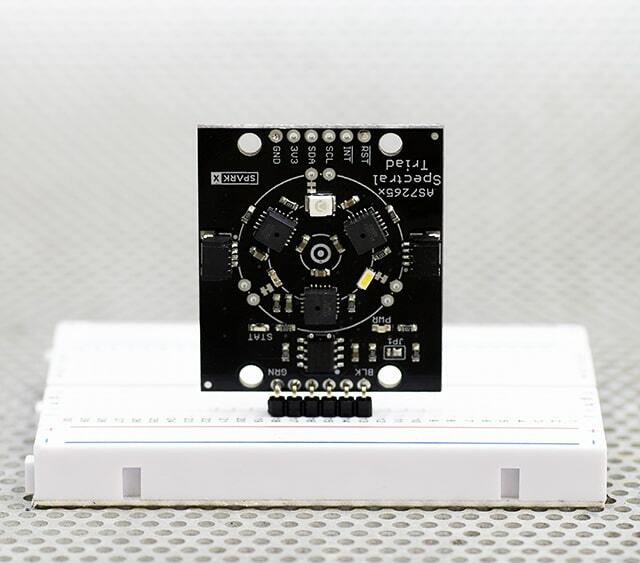 This enables advanced fun and measurements of the natural world. The 'Moonlight' chipset from AMS is composed of a master controller (the AS72651) and two slave devices (the AS72652 and AS72653). Commands are sent to the AS72651 and it presents the data from all three ICs as a single sensor. SparkX has chosen three LEDs that match the detection range of the Triad. An onboard UV LED, white LED, and IR LED allow the user to illuminate the subject with the detectable range of wavelengths of light. Get early access and special pricing on the latest from SparkX. 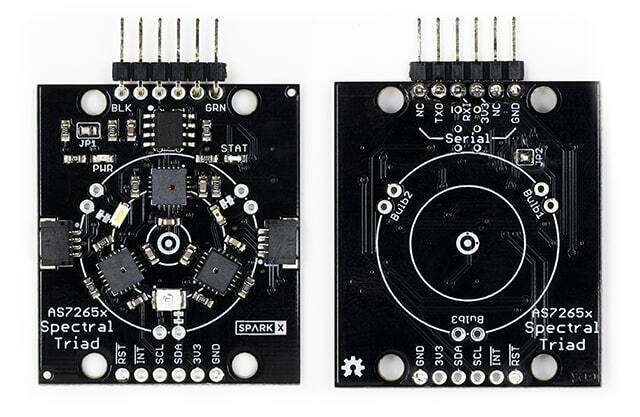 I have just created the GroupGet for SparkFun AS7265x Spectral Triad!